On Sunday afternoon, we looked at Genesis 7, which tells us: “The flood is coming! Enter the ark!”. We saw that Noah’s flood is a picture of God’s coming judgment and of Jesus Christ as the only way of escape. 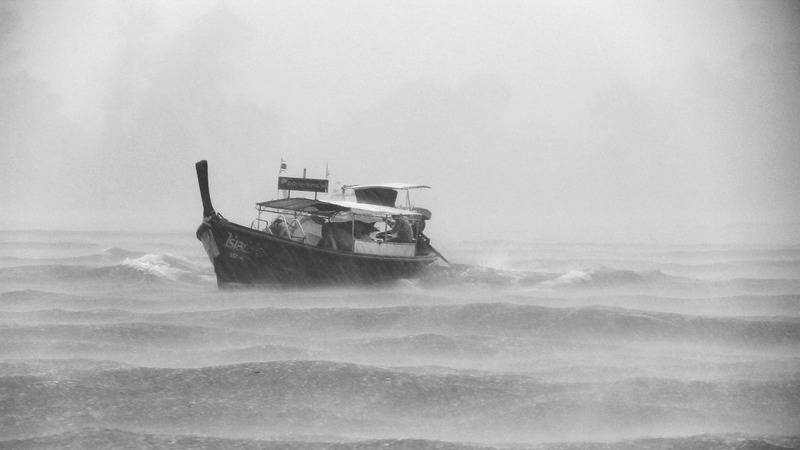 Jesus’ salvation takes the form of an ark – an uncomfortable, smelly ark – otherwise known as the church! That means we can say: Noah was the first person to be baptised in the Bible. i) it’s a great way to think about our own baptisms. Just as Noah was safe from God’s judgment waters in the ark, my baptism is here to tell me I’m safe from God’s judgment waters thanks to Christ. We need to use our baptisms more and put them to work. We’re not Roman Catholics who think baptism works magically, but nor are our baptisms meant to be a forgettable moment in our history. Our baptisms are designed to help us face the coming flood with a sense of security and confidence in Christ. My baptism points me to Christ and tells me: “you’re in the ark; you’re safe”. ii) the first baptism in the Bible was a household baptism. The text flags this up: “Go into the ark, you and all our household” (Gen 7:1). Noah didn’t get baptised by himself. His whole family got baptised at the same time. Noah and his wife, his 3 sons and their wives. Now, clearly, his family didn’t include any infants; they were all married, after all. But it’s still striking, isn’t it? In Acts, Lydia believes and we’re told “she was baptized, and her household as well” (16:15). When the Philippian jailor believes “he was baptized at once, he and all his family (16:33). From the earliest days, God’s taught his people to raise their children inside, not outside, the covenant. That’s why we baptise the children of believers at All Nations Church Ilford. It’s not just an empty gesture, but a claiming of God’s promise to us and our children. If you’d like to think more about bringing up our children in faith not fear, here’s a great article by a minister in Scotland called William Still. The event of Noah’s ark and the flood is a very sobering, clarifying story. Our baptisms are designed to slot us into that story and to love Christ and his ark even more.